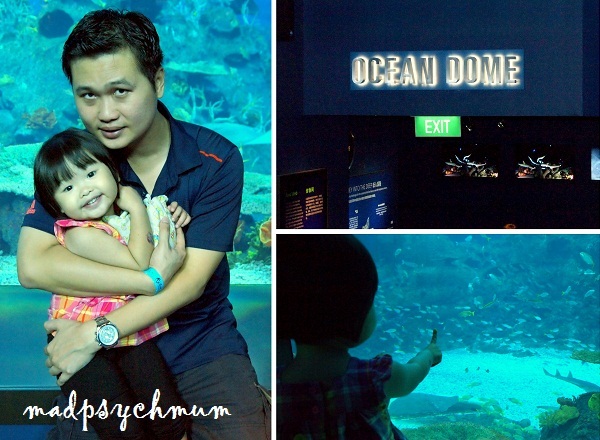 During the school holidays last week, we visited the S.E.A Aquarium at the Marine Life Park, Resorts World Sentosa (RWS). 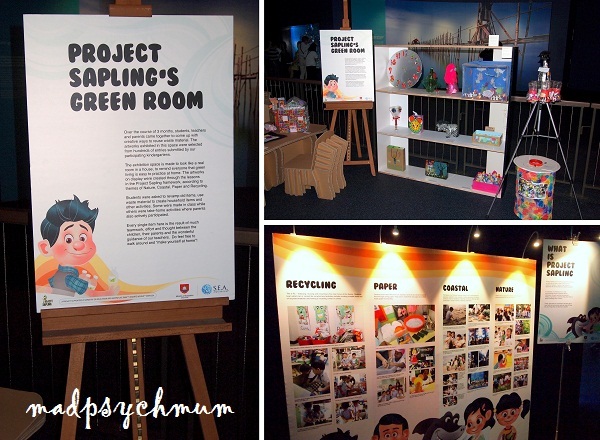 We were invited by Project Sapling, to visit their art exhibition held within the premise of the S.E.A Aquarium. Initiated by a team of students from the National Technological University, Project Sapling aims to introduce green living to preschool students by teaching them about conservation from a young age. 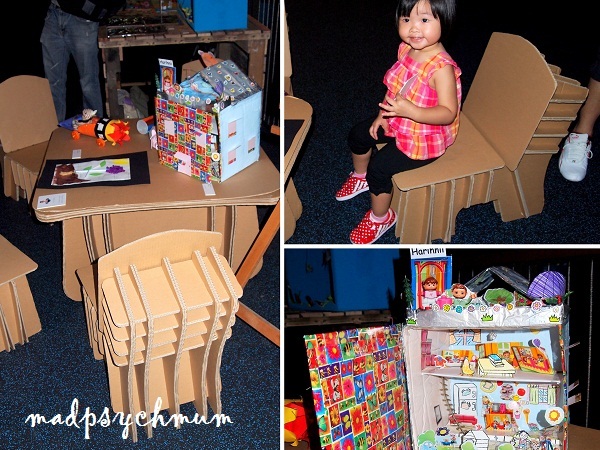 The exhibition comprises of the artwork done by the preschool students using only recycled materials. The children's creation were either done in school with their teachers or at home with their parents. Besides the exhibition, booths were also set up to introduce conservation by getting the children to learn through play as well as an award ceremony to honour the schools, their students, teachers and parents who took part in this initiative. After the activities, we spent the rest of the morning exploring the rest of S.E.A Aquarium, the largest aquarium in the world. My girl's favourite part of the aquarium was the touch pool where she got to feel a starfish for the first time. Again and again! She loved it! I pitied the poor starfish though. It was the school holidays and the touch pool was only a sixth of the one we visited in Hokkaido, so the crowds were literally pushing to touch them like they've never touched a starfish before in their lives -_-". By the time we were done with stroking the starfish, the hubby and my girl were exhausted. It was then off to see the mysterious jellyfish, which looked so much like aliens you wonder if they are even found on earth. 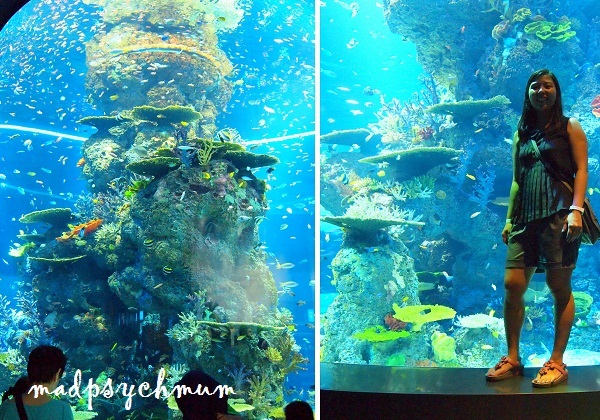 We finally arrive at the most impressive part of the aquarium: the largest viewing panel in the world! You could see the majestic manta rays, stingrays, enormous Goliath grouper and other giants of the sea up close and personal. The Ocean Dome, located just next to the viewing gallery, has a transparent dome where you can view the animals from the bottom. After spending some time being mesmerised by beautiful manta rays, we continued the rest of our visit viewing eels and other weird fish, and ending with the aquarium of over 200 sharks! Look at the crowd of people! You literally had a 360 degrees view of the sharks from all angles! Quite an impressive sight. If you're visiting with your baby, you will be happy to know that there is a nursing room available next to the toilets beside the souvenir store (see here for my review of the nursing room). This attraction was also very wheelchair friendly so pushing a stroller here was not a problem except for the really narrow paths. 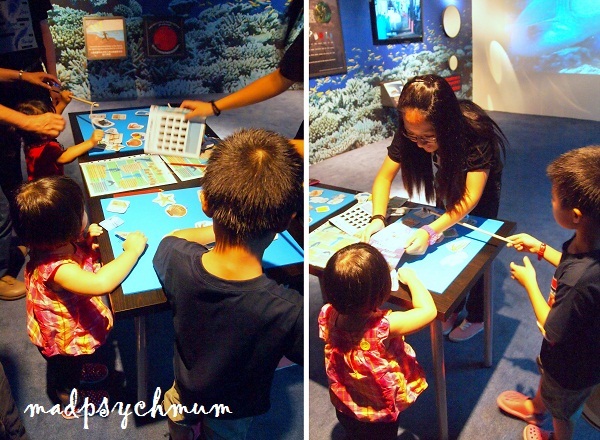 Disclosure: An invitation to the event and complimentary entrance tickets to S.E.A Aquarium were received from Project Sapling & Marine Life Park, RWS. No monetary compensation was received; all opinions are my own.